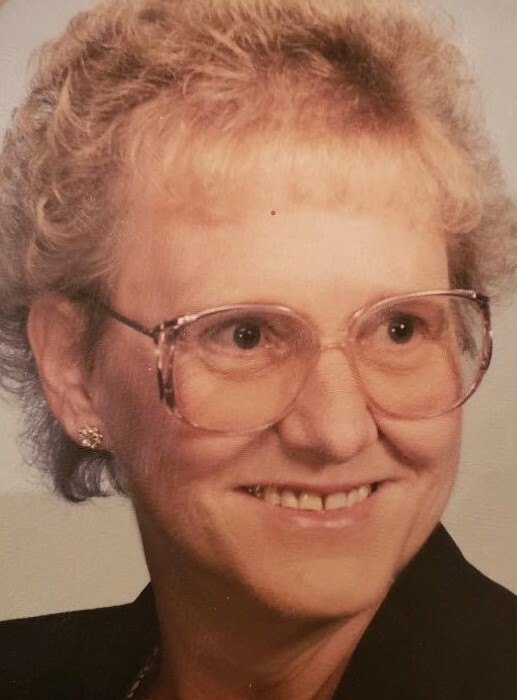 On February 5, 2019, Nancy Lee (Lycett) Duckett, passed away peacefully hand in hand with her husband of 60 years, Robert, at their Millersville home. She was born September 8, 1940, in Baltimore, Maryland to parents Clarence and Mary Grace Lycett. She attended Seton High School and was employed at various times by M&T bank and Baltimore County Employees Credit Union. She enjoyed cruises, lighthouses, the Sight and Sound Theater in PA, a raucous game of bunch and Old Time Westerns on television. These joys paled in comparison to her true passion of being a mother. Through a determined and exhaustive, as any photo taken between 1959 and 1965 will attest, she and Robert welcomed 6 children in a six year period. Through her beloved brood she also became grandparent to twenty and was fortunate and grateful to witness the addition of 9 great-grandchildren. Although, gone far to soon, her memory and joy for life will live on through the family she so richly influenced. She is survived by husband Robert. Children Robert III and wife Laura, Joseph and wife Beth, Constance and husband David, and Edward and fiancee Crystal. Grandchildren Robert IV, Jennilee, Michael, Marybeth, David, Douglas, Jason, Jesse, Shane, Anthony, Reggie, Xavier, Bianca, Abigail, Jackie, John, Richard Jr., Jacob, and Jeremy. Great-grandchildren Gabrielle, Isabella, RJ, Violet, Olivia, John, Trinity, Jailyn, and Jordyn. She was preceded in death by brother Thomas Lycett, sister Frances Klein, children Mary and Richard, Sr. and grandson Ray West. Our future will be lessened by her absence but rest assured every joyous family gathering will be punctuated by a good “Nancy” story and she will indeed be with us. In lieu of flowers please consider a donation in the name of Nancy L. Duckett to the Hospice of the Chesapeake 90 Ritchie Highway Pasadena, Maryland 21122. Family and friends are invited to call at the family owned and operated McCULLY-POLYNIAK FUNERAL HOME, P.A. 3204 Mountain Road (PASADENA) on Sunday February 10, 2019 from 2-6 PM. Where a funeral service will be held on Monday February 11, 2019 at 10:30 AM.